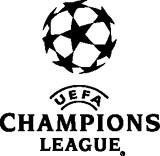 TV branding specialist Red Pepper has been appointed by football body UEFA to rebrand the on- and off-screen identity for the Champions League, following a 16-way strategic and creative pitch. The new identities will be launched in June with title sequences and sponsorship bumpers being used in all TV coverage of the premier European club competition for the next three years. The London consultancy will also be translating the rebranded concept into stadium dressing, signage, interview backdrops, match tickets, hospitality material and merchandising. “The concept that appealed to UEFA was called Inside the Starball and explored a very modern 3D interpretation of the UEFA Champions League 2D icon. We also suggested the black, white and grey house colours should have a more liquid silver look to raise the quality aspect of the brand,” explains Red Pepper senior designer Andy Godden. Having created branding for several major sporting events over the past five years, including Euro 96, the 1998 World Cup and snooker on BBC and ITV, Markell wants to focus further on this area. “We are increasingly specialising in sports branding and trying to be a bigger player within the market,” he says.